HSS Health & Safety Services are beginning to lead the way in pro-active management of health & safety. Our services are in comparison to other health & safety consultants far more cost effective and easier to understand. We provide our clients with a fully comprehensive service to assists current operations or develop from new. 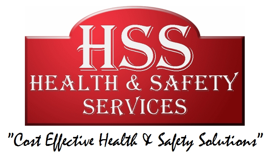 HSS Health & Safety Services have developed a range of services that offer our clients a one stop shop for all their health & safety requirements. Please view our website and feel free to enquirer about any of our services. Our dedicated team of professionals are here to help you. With excellent prices on all services, either buy or book on line.